The UK Government is now expecting to make a GBP 10 billion windfall over the next five years from a series of new tax information exchange agreements, greatly exceeding the previous estimate of GBP 1 billion. Three countries have recently approached the UK Government with the intention of initiating negotiations for new tax information exchange agreements. In a media statement the HM Treasury explained the significance of the potential agreements, saying, “These agreements, by allowing us to get information from tax havens, means British tax authorities are gaining complete access to details of bank accounts.” Throughout the negotiations, the UK will concentrate on creating legislative means to gather much greater amounts of information of individual UK taxpayers with hidden offshore accounts and corporations conducting business with tax havens. 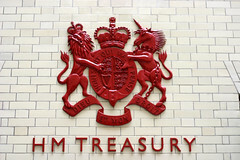 The HM Treasury and all other involved government departments have explicitly refused to comment on which new countries have come forward to begin negotiations with the UK, in fear that the information might lead some tax evaders to withdraw their funds, or take action to hide evidence of their tax evasions. The governments of Jersey, Guernsey and the Isle of Man have already denied that they are involved in the new negotiations. It was previously projected that over the next five years the UK would raise GBP 1 billion from its investigations into tax havens and offshore bank accounts. Now, each of the three nations negotiating with the UK is also expected yield an GBP 1 billion before 2015. An extra GBP 3 billion is expected to be recovered from accounts hidden in Switzerland, and an additional GBP 3 billion will be collected from Lichtenstein. The Treasury has already explained that the extra revenues raised will be used to reduce the GBP 155 billion budget deficit, and will have no direct impact on the upcoming public spending cuts.